With just a few months to go until the release of Star Wars: The Last Jedi, there are still several questions surrounding the film, particularly over the Sequel Trilogy’s central villains. J.J. Abrams didn’t reveal much about Supreme Leader Snoke in The Force Awakens, and it seems director Rian Johnson isn’t looking to elaborate any further either. Some fans might be disappointed they’ll have to wait a bit longer for more answers surrounding the mysterious ruler, but they should be happy with the emphasis Johnson is giving to Kylo Ren in The Last Jedi. As seen in The Force Awakens, Kylo has an obsession with his grandfather, Darth Vader, and is struggling between staying on the Dark Side of The Force or becoming Ben Solo once again. We’ll have to wait to find out the path Kylo Ren carves for himself this December. 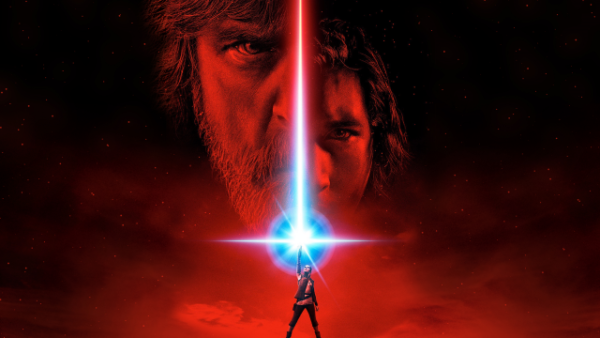 Star Wars: The Last Jedi is set for release on December 14th in the UK and December 15th in the States and sees returning cast members Mark Hamill (Luke Skywalker), Carrie Fisher (Leia Organa), Adam Driver (Kylo Ren), Daisy Ridley (Rey), John Boyega (Finn), Oscar Isaac (Poe Dameron), Lupita Nyong’o (Maz Kanata), Domhnall Gleeson (General Hux), Anthony Daniels (C-3PO), Gwendoline Christie (Captain Phasma), Billie Lourd (Lieutenant Connix), Andy Serkis (Supreme Leader Snoke), Peter Mayhew and Joonas Suotamo (Chewbacca), Tim Rose (Admiral Ackbar), Mike Quinn (Nien Nunb), Simon Pegg (Unkar Plutt), and Warwick Davis joined by new additions Jimmy Vee (Pan) as R2-D2, Kelly Marie Tran (Ladies Like Us) as Rose, and Benicio Del Toro (Guardians of the Galaxy) and Laura Dern (Jurassic Park).